The board of ICICI Bank said in a filing with the Bombay Stock Exchange on Thursday that MD and CEO Chanda Kochhar has stepped down from her post with immediate effect. She will also demit office from the board of subsidiaries of the bank. Sandeep Bakshi will take over the reins and he will be in charge for a period of five years. 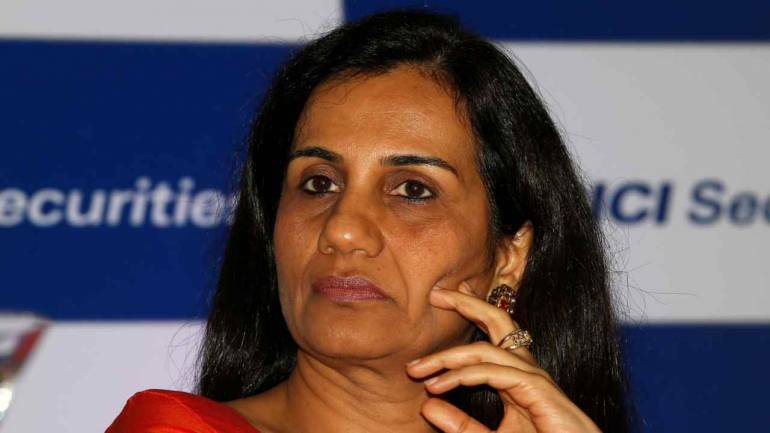 Kochhar is under investigation for allegedly violating the bank’s code of conduct. She was on the panel which sanctioned a loan to the promoters of the Videocon group. Venugopal Dhoot, who is the main beneficiary of the aforementioned loan, is a business partner of Kochhar’s husband, Deepak Kochhar, in his renewable energy venture. Chanda was asked go on leave by the bank’s board till the investigation into allegations of quid pro quo have reached their logical end. She has been associated with the bank for the better part of three decades. Here is a timeline of events that culminated in her resignation, a pioneering figure who helped shape retail lending in India. March 28, 2018 – The chairman of ICICI Bank, M K Sharma made public the fact that Chanda Kochhar was a part of the credit committee which sanctioned a loan to Videocon Group. The quantum of money lent amounts to Rs 3,250 crore. Sharma said that it was not imperative for Kochhar to recuse herself from the committee since in his view, the deal between her husband and Venugopal Dhoot did not represent conflict of interest in the bank’s dealings with Videocon. March 31, 2018 – The Central Bureau of Investigation (CBI) initiated a preliminary enquiry to establish the pecuniary relationship between Deepak Kochhar and Videocon Group chairman Venugopal Dhoot. The enquiry did not name Chanda Kochhar. A preliminary enquiry examines whether the registration of an FIR is warranted. April 2, 2018 – The investigation draws Chanda Kochhar’s brother-in-law into the net. A financial services company, Avista Advisory, founded by Deepak Kochhar’s brother acted as “Debtor Advisor” to the Videocon Group. He held this position for six other companies, and was tasked with restructuring their debt. Rajiv Kochhar said that there was no conflict of interest, and that the selection process for the services of his company was done in a transparent manner. April 5, 2018 – Rajiv Kochhar was apprehended by the CBI at the Mumbai airport as he was about to board to board an overseas flight. His company, Avista Advisory, is based in Singapore. He was produced at the CBI’s headquarters in Mumbai for questioning on the role of his firm in Videocon’s dealings with ICICI Bank. April 15, 2018 – The government entered the fray, ordering a detailed report from the Registrar of Companies. The government body was tasked with typing up the loose ends in the web of transactions involving Deepak Kochhar and Venugopal Dhoot. May 4, 2018 –Chanda Kochhar’s immediate family had insofar been insulated from scrutiny, but things changed overnight. Deepak Kochhar was summoned by the federal investigating agency for clarifications on transactions reported in his company’s books. Summons were issued to him by the Income-Tax department in April, whereby he was given 10 days to appear before it with documents pertaining to his company’s dealings with Videocon and ICICI. May 25, 2018 – Chanda Kochhar was issued a notice by the Securities and Exchange Board of India (SEBI) over alleged non-compliance of the listing agreement in the loan to Videocon. May 30, 2018 – The board of ICICI, which had hitherto been committed to the innocence of Kochhar, decided to institute an independent probe into her involvement. This was initiated after a fresh complaint was made by a shareholder. The complainant alleged that Kochhar was complicit in the loan deal, accusing her of “conflict of interest” and “quid pro quo” in dealing with “certain customers” of the bank. May 31, 2018 – Chanda Kochhar goes on leave amid much confusion. ICICI Bank claimed that it had not asked her to take leave of absence till the independent enquiry is completed. Kochhar explained her absence saying it was part of her annual leave which was planned in advance. The bank refuted rumours that a search committee was constituted to find a capable replacement. June 3, 2018 – The government reiterated its stand that it will not interfere in the functioning of the private lender despite having a nominee on ICICI Bank’s board. The government released an official response putting to rest speculation that it will wield its power to influence decision making in the light of the serious allegations directed against Kochhar. June 18, 2018 – The board of ICICI bank announced that its MD and CEO Chanda Kochhar will go on leave till the closure of the probe into her involvement in the Videocon case. The MD and CEO of group company ICICI Prudential Life, Sandeep Bakshi, was appointed as whole-time Director and Chief Operating Officer of the bank. He was tasked with overseeing the functioning of the bank, and had to report to the board. June 20, 2018 – The Income-Tax authorities launched a fresh probe into the purchase of the flat where the Kochhars currently reside. The house, which is situated in south Mumbai’s Churchgate neighbourhood, was bought in the 1990s by a financial services company Deepak Kochhar and his borther, Rajiv. Deepak Kochhar was previously questioned in May. The firm has a chequered history, having been suspended from trading in 1996-97. Financial stress forced it to file for liquidation. The I-T department found that Videocon INternation held as much as 17.74 percent in Kochhar’s company in 2001. The flat passed into the hands of a firm tied to the Videocon Group as a part of outstanding dues owed it after the Kochhars’ company went bust. Allegations of quid pro quo were further strengthened by the fact that the flat was reacquired by the Kochhars below the market price in 2010. August 30, 2018 – Chanda Kochhar was appointed as a Director on the board of ICICI Securities. Proxy advisory firms had reportedly asked shareholders to veto the proposal. The ICICI Bank board voted in favour of her appointment, reaffirming their faith in her innocence. September 7, 2018 – SEBI begins adjudication proceedings against ICICI Bank and Chanda Kochhar. They questioned her for alleged violations to the disclosure requirements under the securities law. Kochhar had failed to apprise the credit committee that sanctioned the loan to Videocon, that her husband’s company had a financial history with the loan applicant. Both Kochhar and ICICI Bank replied to show-cause notices sent by SEBI saying that they were unaware of the dealings between the Videocon Group and Deepak Kochhar. The I-T department then began investigating the money trail in real estate deals involving the protagonists in the Videocon case. A 13-story building, Radhika Apartments, which served as the staff quarters of ICICI Bank, was sold to Videocon Industries. The building, situated in Prabhadevi in Central Mumbai, was sold to Venugopal Dhoot’s firm at a rate well below the market price. September 9, 2018 – The RBI said that it has not exonerated Chanda Kochhar and the board of ICICI Bank in the deal with Videocon. The central bank said it would not interfere in the running of the bank as it would impeded the ongoing investigation. September 12, 2018 – ICICI Bank convened its first annual general meeting (AGM) after the charges against Kochhar came to light. Shareholders were visibly upset with how the case was handled and demanded transparency in the alleged case of collusion. The Indian Express reported that shareholders were instructed not to ask questions pertaining to Chanda Kochhar. October 4, 2018 – Chanda Kochhar quits as the MD and CEO of ICICI Bank after her plea for early retirement was accepted by the bank’s board.